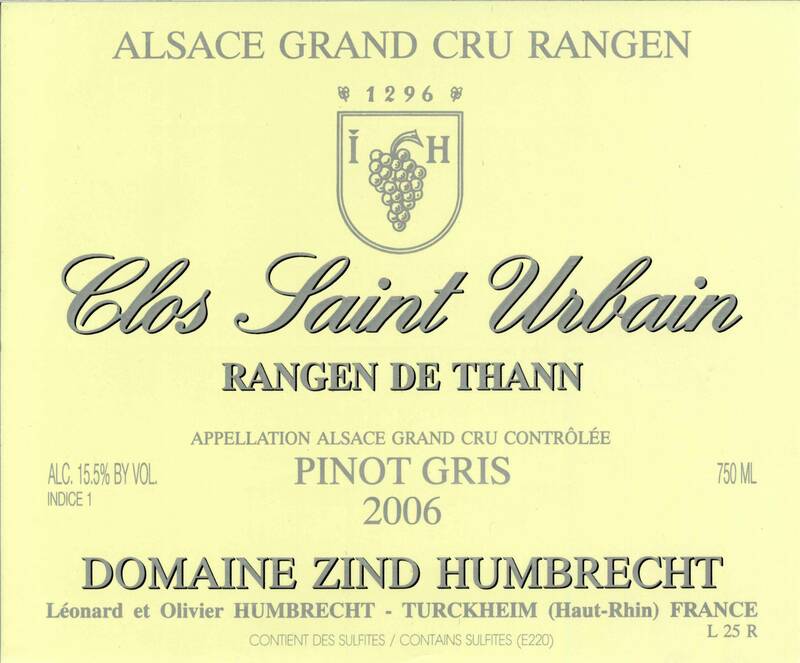 The Pinot Gris took an important place in the Clos Saint Urbain, alongside the Riesling and Gewurztraminer. When my father purchased the vineyards from the Yung family in 1977, there was a large proportion of Pinot Gris, all planted at high density in the early 60’s with incredibly high quality massal selections (opposite of clones). Riesling is the obvious choice in a steep, south facing volcanic hill side, but we discovered that Pinot Gris was also capable to capture the flinty/earthy minerality of this vineyard. The alternance of dry/humid periods and presence of fog during harvest also make it easy for massive botrytis development. In 2006, the botrytis was intense, but like in many other Pinot Gris vineyards, we feared that its influence could be too powerful. We went to harvest the Pinot Gris just before it would be real VT, aiming for a dry wine. The fermentation was fast and powerful, leaving little chance for much residual sweetness in the wine.